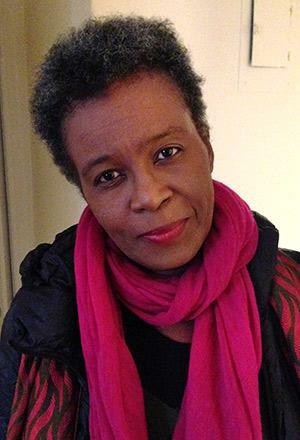 Claudia Rankine’s Citizen An American Lyric, reviewed. Claudia Rankine’s poems explore how to write about yourself when your language pretends you don’t exist. Few words echo as far and fast as racist. Amid so much supposedly race-neutral language, it lands with a violent unreality, uprooting both subject and speaker. Claudia Rankine said as much in her speech at the 2011 AWP conference, and she was right: That talk created an immediate sensation, one that continues to shape responses to both Rankine and the poet she described in that lecture, her former colleague Tony Hoagland. According to Rankine, when she went to talk to Hoagland about the poem, he brushed her off by saying “this poem is for white people.” In his written response (which is occasionally interesting, persistently condescending, and occasionally absurd: Who thinks “the topic of race belongs only to brown-skinned Americans”? ), Hoagland declined to respond to that accusation. 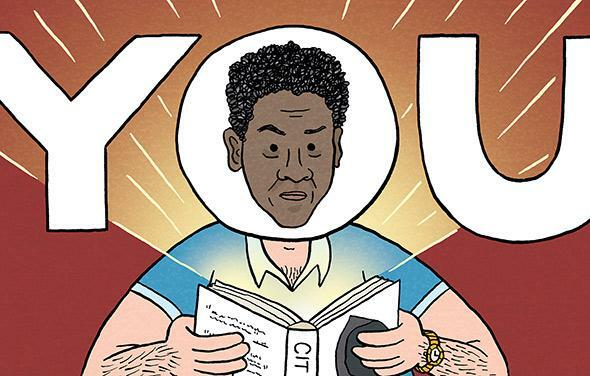 Citizen gets at that basic disparity through a deceptively simple trick: For much of the book, Rankine describes her encounters with perceived racism in short prose narratives in which she refers to herself as “you,” insisting that each reader stand in her place—which we necessarily arrive at from very different angles. The descriptions are willfully plain, brief and numerous, and the efficiency of Rankine’s prose lets them build up with the force of fact. They are, of course, not as objective as they feel, but that’s part of the point. When I—someone more likely to stand in the place of an offending friend or colleague than that of Rankine—pull away from the “you” in one story, I’m forced to register my choice to stand apart and its refusal of Rankine’s experience. Reading about a friend who failed to speak up for her in a supermarket, I say, “But maybe that’s not what it meant.” And when I do, I’m forced to actually feel, in that moment of saying that I am not “you,” just how much I enter our shared language through a set of experiences that are in no way universal. Not long ago you are in a room where someone asks the philosopher Judith Butler what makes language hurtful. You can feel everyone lean in. Our very being exposes us to the address of another, she answers. We suffer from the condition of being addressable. About a third of the way into the book, Citizen loosens its grip somewhat, taking on more public—and more disastrously physical—events. In a series of “Scripts for Situation Videos” that Rankine created with her husband, John Lucas, she addresses Katrina, the murders of Trayvon Martin and James Craig Anderson, and the prosecution of the Jena Six, among others. Paradoxically, these scripts lack some of the physical immediacy of her more personal narratives; there’s something missing, something slightly more familiar, in their records of the way the supposedly sane language of mass media removes each new outrage’s significance. That’s not to say that they aren’t fundamental to the book. The depth to which actual violence roots in the blindness of our speaking is essential to Rankine’s argument—that in persistently erasing the reality of being black, we’re damaging the very same, very human bodies we fail to recognize. The book would have felt imbalanced without them. But it’s on the other side of these that Citizen once again shows the incredible ways in which Rankine makes range out of restriction. Trying to pull free of the second person, as if doing so might be the first step away from illness, too (“The start of you, each day, / a presence already— // Hey you—”), Rankine allows herself to move into verse, though only for a few pages. The healing that these final passages hope for is not altogether a hopeful one. (It’s surely no accident that the book concludes with one of the almost 20 images she includes, rather than words.) But it does, as Rankine begins referring to herself, occasionally, as “I,” make room for the intimacy of some other “you,” someone with whom she can share a language that embodies the persistent, heavy burden of being so prominently erased. When the waitress hands your friend the card she took from you, you laugh and ask what else her privilege gets her? Oh, my perfect life, she answers. Then you both are laughing so hard, everyone in the restaurant smiles. As I was reading Citizen one more time to make some final notes, a police officer in Ferguson, Missouri, shot and killed Michael Brown, an unarmed black 18-year-old. For almost a week, the officer remained nameless, and his invisibility—so different from the invisibility Rankine writes about, from Brown’s invisibility at the other end of the officer’s gun—kept pulling my thoughts back to Citizen, a book that, after multiple readings, I would still notice myself circling, literally, pushing myself to pick it up. It is one of the best books I’ve ever wanted not to read. Citizen would inevitably be a different book for someone who had experienced race in different ways than I have, and yet it would, I imagine, be every bit as important. Its genius—and after having spent so much time, some of it reluctant, with this book, I do think that word is appropriate—resides in that capacity to make so many different versions of American life proper to itself, to instruct us in the depth and variety of our participation in a narrative of race that we recount and reinstate, even when we speak as though it weren’t there. Citizen: An American Lyric by Claudia Rankine. Graywolf Press.